Following the ports of the first 2 Episodes, Danganronpa: Another Episode (originally released on PlayStation Vita back in 2015) is a different kind, a spin-off that removes all the weird investigations and trials part from the franchise, to indulge in the pleasure of the shooting mechanics in all its simplicity. The story is almost a continuation of the cursed Naegi family. After the misadventures of Makoto, it’s sadly her younger sister’s turn to be a victim of Monokuma. Kidnapped and held captive for a year and a half in the heart of Towa City, this girl missed getting killed by her not killed by her captor before getting rescued by Byakuya Togami, the iconic character of the Trigger Happy Havoc. Equipped with a weapon capable of hacking into the mechanical bears and various types of ammunition with their own different effects, Komaru Naegi tries to flee the city in the company of Toko Fukawa (Genocide Jack). The simplicity that emerge from the early hours are poor compared to the main series, bit the storyline of Danganronpa Another Episode: Ultra Despair Girls still got its ups especially after the third chapter. Turned into a sort of action-oriented shooter, this spin-off is like all the other franchise titles, full of long conversations with characters, that might be annoying for those that just want to enjoy the action. Whether it is the heroines or the villains of the story that are pretty much kids, the whole cast is a rather weird array of squeakers, which is sad in comparison to the rest of the franchise titles, turned into an exaggerated children’s war against adults. At least, Monokuma is still as full of witty sayings and enthusiasm when it comes to making the characters suffer, and this spin-off almost brushes the point of indecency. 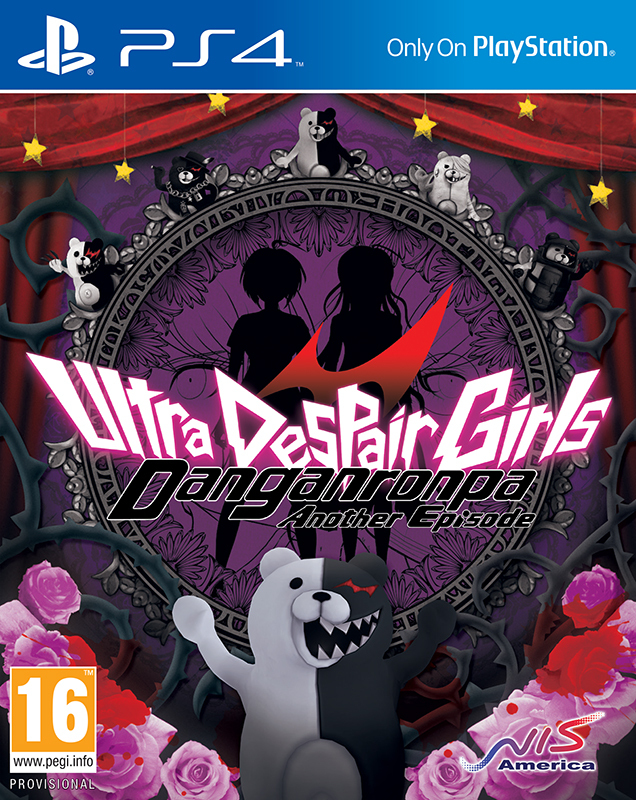 As mentioned, Ultra Despair Girls is not the same as the other titles, and there’s no trial or investigation part in the game, and that mechanics are kind of reduced to some puzzles done by Monokuma. But at the end of the day, the whole gaming experience comes down to reading almost endless dialogue lines like an animated novel and shoot down Monokuma clones. While the meticulous management of ammunition is a challenge in its own, it’s not enough to feel like it was worth ditching the key Danganronpa elements that makes its success (trial and investigation). Danganronpa: Another Episode Ultra Despair Girls follows in the style of the first two episode remasters that came out in early March 2017, which is a simple port with no additional functional. Apart from redesigning or enhancing the assets to support a display in 1080p and avoiding illegible texts with an upscale, the title almost remains identical to the 2015 PS Vita version, which can give you an idea of what cinematics and textures might look like. Sure it’s 60FPS, and there’s higher resolution models and texture, but It’s kind of not enough considering every publisher is now jumping on the 4K train, or has done better at remastering. Control schemes are also identical to the PS Vita version, which doesn’t really work as naturally as other shooters, since for example running is locked to the round button, which moves your thumb from the right thumbstick, needed to control the camera angle. These minor issues spoil a the pleasure, especially when the difficulty grows drastically in later chapters. Danganronpa Another Episode: Ultra Despair Girls is a game I would recommend to only fans of the franchise, especially those that missed the 2015 PlayStation Vita version. This port is almost done at the bare minimum, with a partial upgrade of graphical elements, and a gameplay that doesn't work well on controller, but still is a decent story, if you have the patience to read through it.